This dragonfly mug is the perfect place for your favorite drink. Stoneware's natural insulation helps keep hot drinks hot and cold drinks cold. This dragonfly pottery mug holds approx 14 oz. 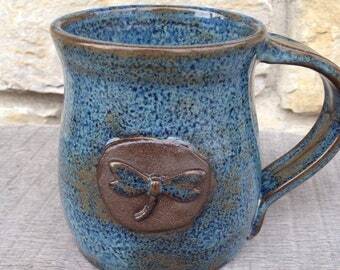 Dragonfly Pottery mugs are MADE TO ORDER just for you! Quantity available is for ordering purposes only. Please note current production time during checkout. 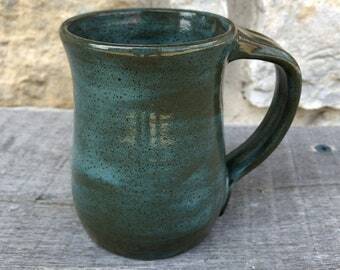 Fired to cone 5/6, dragonfly pottery Stoneware is microwave and dishwasher safe. 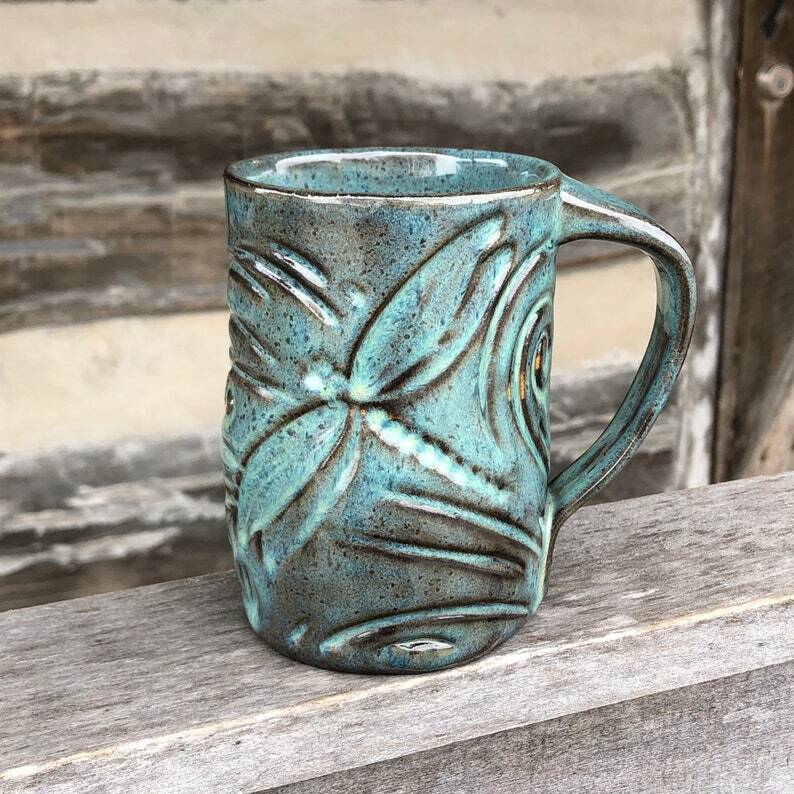 This handcrafted dragonfly mug is glazed with Turquoise glaze over dark clay resulting in earthy tones of blue and brown. Each piece is individually hand built and hand painted. Natural variations will occur. This listing is for one dragonfly mug. A one of a kind, handmade pottery piece you are sure to enjoy for years! The dragonfly is a symbol of change and I begin my journey into pottery during a time of both personal and professional change. So this begins my journey of rediscovering myself and my dreams... Thank you for joining me on my journey! Each mug is stamped with a dragonfly on the handle.